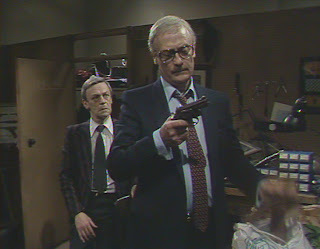 The television series Callan seemingly came to an end in May 1972 with the transmission of the final part of a three-part story The Richmond File - A Man Like Me. We saw the anti-hero David Callan walk away from his work for the Section, vowing never to return after the death of a KGB agent. 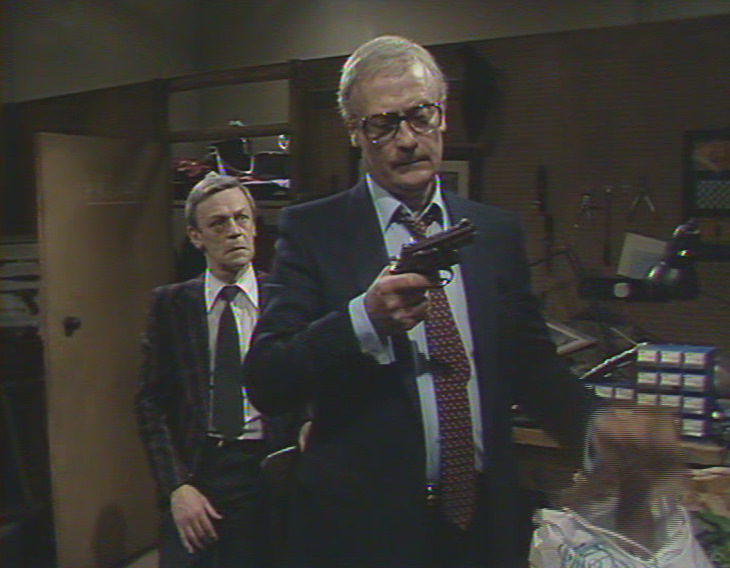 Played by the late, great Edward Woodward, Callan's story appeared at the time to have come to a fitting close. Woodward moved on to other films and television shows including a stint as host on the panel game Whodunnit? and the lead in the much cherished cult classic The Wicker Man (1973) as well as highly regarded theatre work such as The Wolf (1973). 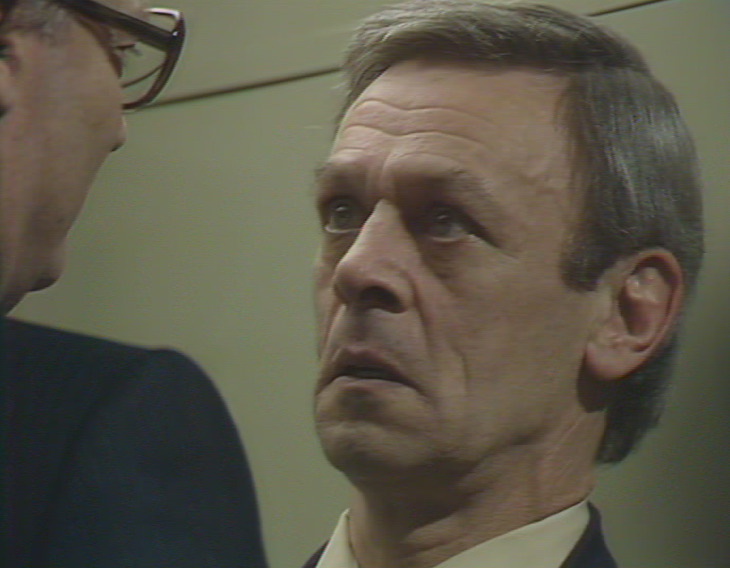 But he and creator/writer James Mitchell returned to Callan in further on-screen iterations. 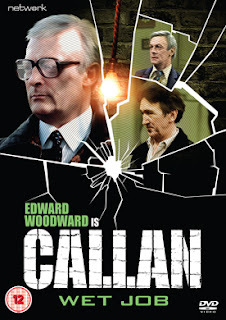 Mitchell adapted and expanded both his original 1967 Armchair Theatre pilot A Magnum for Schneider and the 1969 novelisation 'Red File for Callan' for a cinema version, Callan, in 1974. A tough, well directed thriller, released through EMI in the UK, it reunited Woodward with the television series's cast members Russell Hunter as the much loved smelly informant, Lonely and semi-regular Clifford Rose as Section brainwasher-in-chief, Snell. 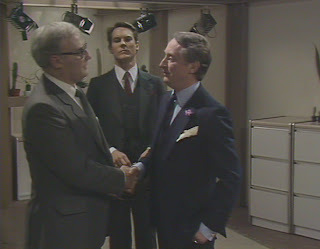 The major roles of Hunter, boss of the Section, and Toby Meres, a younger agent working alongside Callan, were re-cast with Eric Porter as Hunter and Peter Egan as Meres, replacing both Peter Bowles from the pilot and Anthony Valentine from the series proper. Mitchell also continued Callan's story in a series of novels throughout the 1970s, including Russian Roulette, Death and Bright Water and Smear Job. 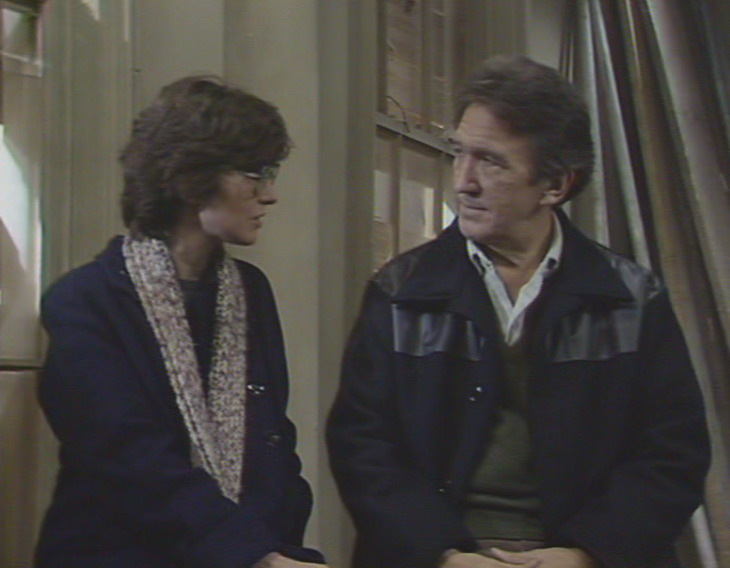 In 1981, ATV persuaded Mitchell to bring Callan back to our screens in a one-off 80 minute play, Wet Job produced and directed by Shaun O'Riordan. Network DVD have now released the play as a stand-alone DVD and will also be including it in their forthcoming Callan - The Definitive Collection which will see the re-release of the existing black and white episodes, all of the colour episodes, plus a brand new documentary and a book by that archive television legend Andrew Pixley. So, is Wet Job a fitting conclusion to David Callan's television exploits? Alas, it is a frustrating disappointment. O'Riordan and his team appropriately respect many of the compelling Cold War themes of the original series, with writer Mitchell returning to examine the gamesmanship between the KGB and the British Secret Service in their dealings with dissidents attempting to leave Russia and claim asylum in the UK. Here, a dissident Russian philosopher, Dobrovsky, has been smuggled to France and much of the play's plot involves the attempt of a group of young British graduates to bring him safely to the UK. The story and themes in Wet Job echo incidents such as the KGB's arrest of dissident nuclear scientist Andrei Sakharov in 1980 and the activities of campaigner George Miller-Kurakin who recruited students to visit Russia to spread anti-communist literature and then return with microfilms of dissident texts for publication in the West. It also anticipates, with the sub-plot about a former MP publishing his memoirs and exposing David Callan as his daughter's assassin, the whole furore about former MI5 officer Peter Wright's publication Spycatcher in the late 1980s. Edward Woodward and Russell Hunter both return in the play as older, much changed versions of their original characters. Callan, now under the assumed name of 'David Tucker', whiles away his hours as the owner of 'The Old Brigade' a shop selling military memorabilia and antiques, a consistent development with what we know of Callan's passion for model soldiers and war-games from the original television series. 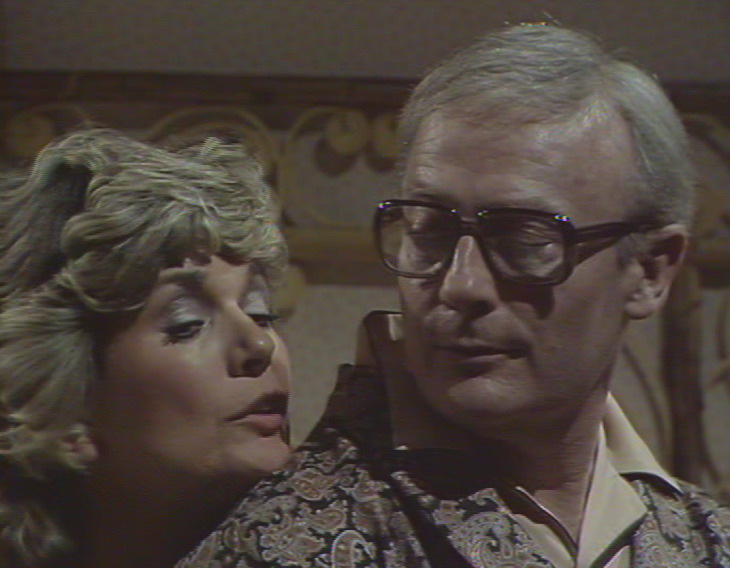 As 'Tucker' Callan lodges with Margaret Channing (Angela Bourne) and has an intermittent relationship with her when she's not sleeping with young men half her age. Lonely has gone respectable, runs his own plumbing business and is engaged to be married to Mariella when he meets up with Callan again while repairing Margaret's shower. 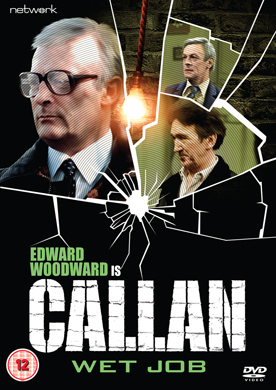 After a party at Margaret's house (where he jokily declares to a guest that he "hasn't murdered anyone for years") Callan is suddenly recalled by the Section's boss, Hunter, and informed that he must prevent ex-MP Haggerty (George Sewell) from publishing the damning chapter about Callan's identity as a professional killer in his forthcoming memoirs. It seems that you are never retired when you leave the Section and old agents still have their uses. At the same time Haggerty provides Lucy Smith, an Oxford philosophy don and the ringleader of a group of dissident sympathisers, with enough funding to bring the Russian defector, Dobrovsky (Milos Kerek), into the country. As Callan uses Lonely to retrieve his magnum locked away in a safe deposit box, Haggerty plans to lure Callan to the derelict Carbury Place his demolition company are in the process of clearing. However, Haggerty and Lucy are not what they seem and Hunter hasn't told Callan the real reason why he's dragged him out of retirement. It pains me to say it, but this is a rather average script from Mitchell and the storyline doesn't really bring anything new to the ongoing struggle between Callan and the Section and his own inner turmoil over his employment as a hired killer. Many of the elements contained in Mitchell's plot are rather ineffective retreads of past episodes and certainly it comes as no surprise to find the manipulative Hunter and the Section have their own agenda for Callan. 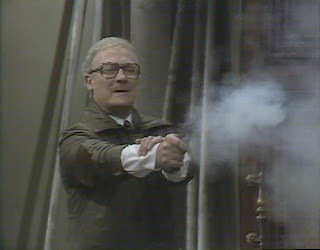 Hunter, played by Hugh Walters in this instance, also lacks the grittiness and cold manner of his previous incarnations. Walters is rather too effete in the role and he dilutes and weakens the character. That this plot is also stretched out over 80 minutes does it no favours and thus the pace is terribly langourous and the tension that it desperately needs is rather thinly evoked. The reunion between Callan and Lonely is very much the only reason why you would want to see this. When Woodward and Hunter get together on screen it truly does feel like the original series and Mitchell's characterisation, dialogue and wit are translated by two great actors into scenes of rather moving tragi-comedy. As Callan demands one last favour from his smelly old friend, Wet Job hits its stride. Woodward as the older, rather tired Callan, is very effective and as he closes in on Haggerty and Dobrovsky much of the old fire is rekindled. Callan seems to have transmuted into George Smiley with his thick rimmed glasses that he has to stop and polish before confronting Haggerty, Dobrovsky and Russian agent Radlett at Carbury Place. This and Callan's encounter with Lonely are the most akin to the style of the original series. An average script it may be but director O'Riordan and his composer Cyril Ornadel do everything in their power to negate any enjoyment you could want to seek. Ornadel's score is atrocious and he slaps awful synthesiser based cues (something of a fashion in early 1980s drama and perhaps attempting to emulate the Wendy Carlos electronic interpretations of well known classics) in the most inappropriate places, onto scenes which require no music to build tension and he often uses rather light piano motifs and cliched 'tension building' type scoring throughout when there is clearly no need for it (a particularly awful example is the cliffhanger at the end of part one). As an espionage character based drama, Callan actually needs very little scoring if the likes of Woodward, Hunter and Sewell are firing on all cylinders as actors. The other sad omission is that there is no recap of Jack Trombey's iconic original theme music which is as much a part of the show's identity as that classic swinging and exploding light bulb title sequence. Instead, we get a rather weak and instantly forgettable bass, drum and synth led theme. O'Riordan also elects to shoot the whole 80 minutes on low quality, badly lit videotape that actually makes the studio bound Thames episodes of the 1970s look far superior than they should in comparison. Again, it betrays the very low production values of the play which seems to have been cheaply slung together by ATV. There is also little style to O'Riordan's direction and it's a bit bland and lacklustre, undermining our interest in any of the supporting characters in the drama. Lucy, Margaret and Dobrovsky never really leap off the page, Hunter's secretary Liz, who shares a past with Callan at the Section, seems to have had a personality bypass and the replacement for Meres, a character called Thorne, is little more than a cipher. Clearly what this needed was for the entire production to be shot on film and to take its lead from the benchmark BBC production of John le Carré’s Tinker, Tailor, Soldier, Spy. The 1979 dramatisation would have been an appropriate influence for any serious attempt to remount Callan. This, despite Woodward and Mitchell's involvement, comes across as a rather unsuccessful attempt to recapture the glory days of studio-based videotaped drama which by 1981 were becoming less prestigious, less a signifier of quality than their all-film counterparts. Wet Job is therefore only recommended for Callan completists and even then is a less than satisfactory coda to the David Callan story. Thanks for that review. I found WET JOB almost painful to watch... the script was well below-par for Mitchell, the performances only occasionally showed a flash of the old brilliance, and the execution was seriously poor. When you think of the terrific, elegaic, late-life Callan that could have been... well, you could almost weep. And as for that music... as the disc played I remember thinking that it sounded as if it had been slapped on unseen by the house organist at a 1970s Butlins. Agreed, Stephen. I too found it a very difficult watch. Not Mitchell at his finest and only Woodward and Hunter really providing anything akin to the original series.